Listen up, cool teenz! By now you've likely realized — and read online — that New Zealand songstress and TToTM (Top Teen of The Moment), Lorde is many things. She's The Best, Totally Epic, Hands-Down The Coolest, The Smartest, The Hippest, Most Perfect, Realest, The Most Wonderfulest, Super Charming, and The Unsuspecting Role Model you've all been waiting for. But did you also know that Lorde is — wait for it — also a completely normal, average, run-of-the-mill teen such as yourself? It's true! And her latest interview with Teen Vogue proves it. 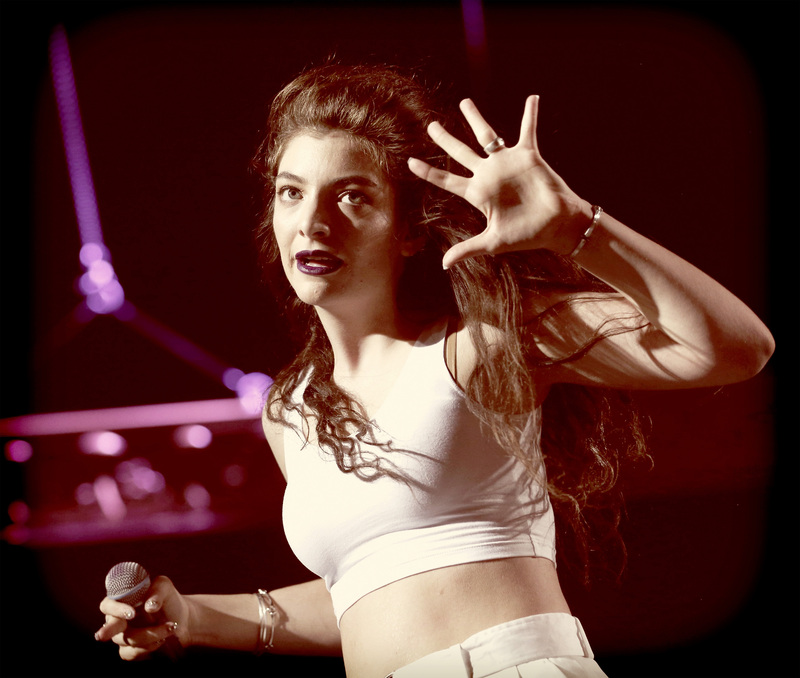 Lorde is totally ordinary — and that's what makes her so great. To be fair, it's way, way, way, way, way too easy to be obsessed beyond the point of rational thinking when it comes to Lorde. She's young and wise, gives none of the fucks, and is really honest about how she's handling this whole mega-fame-in-an-instant thing. If you don't want to be her, you want to be her cool older sister that she occasionally thanks for teaching her the ways of the world. Because she gets it! And it's damn refreshing to see the new guard of feminists really pushing us forward. A lot of that obsession and exalting comes from a place of love, but also a place of sameness. We all love Lorde because she's exactly like the rest of us — and these 5 quotes prove it. "This is the most insane thing that's ever happened to me." "Hilary Duff? Are you freaking serious? Hilary Duff was there last night? This is what dreams are made of! Was she vibing it? Was she bobbing her head?" "That's my childhood right there. Hilary Duff is a fan—that freaks me out!" "I am feminine, but I really love dressing in boys' clothes too." "I was friends with all the boys and kind of bratty, nerdy, and quiet. I was probably really obnoxious to hang out with."